UPDATE: Deputies say they found Wanda on Monday Dec. 17, night in the Sun Lakes area. 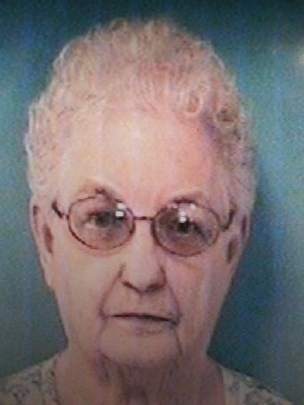 Wanda Montie, 81 of Peoria, Ariz., went missing last night after going to the grocery store. Montie was last seen about 5:30p.m. Sunday, Dec. 16 walking out of her home near 19000 N. 91st Ln. When she didn’t return family called police to say that she had not returned home. Montie is 5’ 2″ and 200 pounds with gray hair and blue eyes. She was last seen wearing orange pants, and a orange and white stripped blouse, with white tennis shoes. Montie drives a 2005 Tan Buick Century with the Arizona license plate FEC360 and is know to frequent casinos. She also suffers from memory loss.